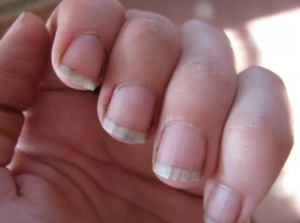 C’mon ladies don’t deny it – we’ve all come home from a night out and found the contents of our garden somehow lodged under our nails…how does it happen? We have no clue, but we take great satisfaction in clearing it out the morning after. There is NO better feeling than squeezing a big juicy spot and watching that pus worm escape whilst also see the swelling go down – beautiful. Not only that, but it decreases the size of the blemish so that we can easily cover it up. However, most of us are trying to pick on ones that barely even exist, just hoping to get the gunk out before we go on with our day. It’s one of those cleaning routines that we just can’t seem to get enough of! It’s not like we wish for them but for whatever reason, we are glad to see them so that we have this opportunity to attack them. This Is What Your Favourite ’80s Soap Stars Look Like Now!